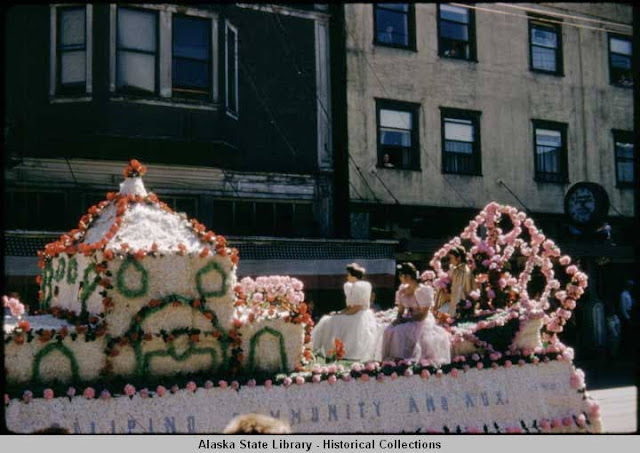 The Alaska Native Studies Blog: "Three Thousand Filipinos" and the William Lewis Paul papers. "Three Thousand Filipinos" and the William Lewis Paul papers. Last March I spent a few days at the University of Washington library archive in Seattle. My incredible cousin David generously allowed me to stay with him. When he was a teenager he worked enrolling people for the claims settlement. Not only was it great to spend time with my cousin but to stay with him is to learn so much about what was happening in the Kodiak area amid the settlement era. At the archive I investigated the William Lewis Paul and William Lackey Paul papers. 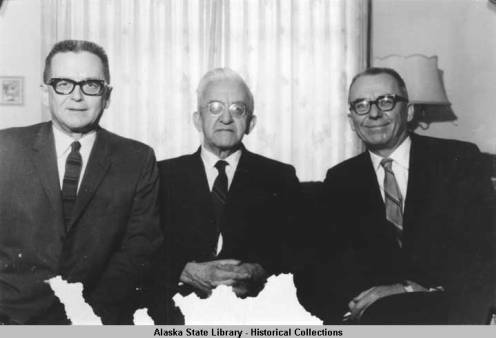 William Lewis Paul, 1885 – 1977, was a Tlingit attorney, activist, and Alaska territorial legislator who participated in most aspects of Alaska life for almost a century. His son William Lackey Paul, 1926 – 1972, was also an attorney and activist, most notably he was part of the legal team which brought Tee Hit Ton v. United States to the Supreme Court in 1955. The two are often referred to as William Paul, Sr. and William Paul, Jr. even though their middle names are distinct from one another. Paul Sr. was a survivor of Carlisle Indian Industrial School in Carlisle, Pennsylvania. Some attribute his political drive and philosophies to the coercive power of Richard Henry Pratt's maniacal techniques that attempted to snuff out Indigenous cultural values from Native children and young adults. Reading through the archive I found the letters and speeches of a very brave person whose actions and ideas centered around the general welfare of Native Alaska. The trajectory of his life proves breathtaking. Throughout his career he worked within a political structure bent on denying Native people their humanity and his papers reflect a host of complex positions and maneuvers that would intrigue any student of political history. My ambition in the archive was to help myself paste together the movement that lead to Tee hit Ton so I could simply understand it for myself. From the 1920s to the the end of the 1940s Paul was embroiled in a host of developments that I found very useful for my work. The research into his papers helped me finish an article that I'm sending out Monday. Paul Jr.'s papers embodied a more formal collection of letters and writings and may be featured in a future post. This post concerns a document I found in Paul Sr.'s papers that speaks to the intertwined history of Native Alaska with the Filipino and Filipino American communities residing in region. There is a long history of migration around the Pacific Rim, into Alaska, with Filipino people. A student of literature would find this documented in Carlos Bulosan's America is In the Heart. The Kadiak Times used to publish a column in tagalog. Kodiak's non-seasonal population now stands with those of Filipino descent as a majority. This present state draws from the development of the industrial fishing complex, as well as mining and logging, from the late 19th century. These systems required a flexible and exploitable labor force who would do the back-breaking work that such enterprises entail inorder to produce a profit. As a result, there are strong and vibrant Filipino communities throughout Alaskan villages, towns, and cities. 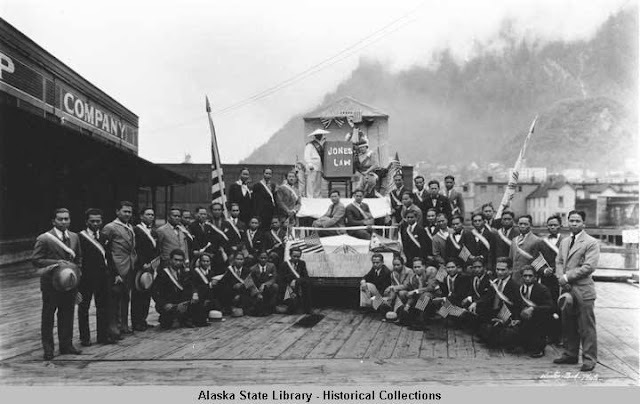 Filipino Community, Juneau, Alaska, July 4, 1931. In this photograph, the 30-40 people pose beside a parade float with a plaque reading "Jones Law." The Jones Law, 39 Stat. 545, c. 416, was an Organic Act passed by the United States Congress that mandated the first elected Philippine legislature while under US territoriality. In looking through William Lewis Paul's papers I found an article he wrote, entitled "Three Thousand Filipinos," published on the front page of the Alaska Fisherman newspaper dated July, 1930, a year before this photograph was taken at a 4th of July parade. 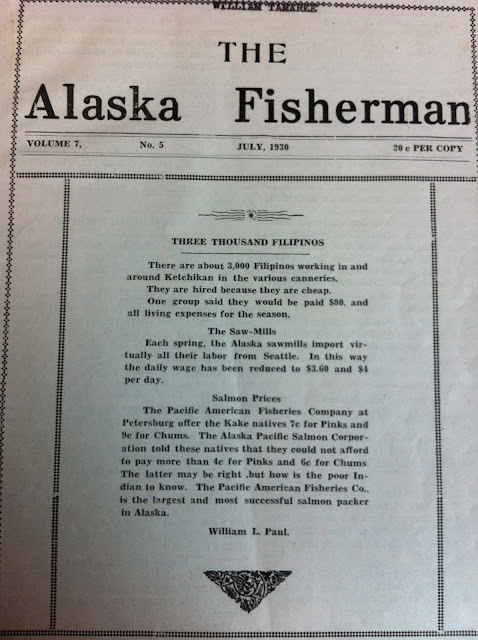 In this article Paul Sr. connects Native economic interests with those of Filipinos working in the 1930s Alaskan extractive colonial economy. He's asserting that both Filipino workers and Native fisherman are underpaid by the companies but because the "Pacific American Fisheries Co. is the largest and most successful salmon packer in Alaska" both parties possess few options for better wages. This presents a wonderful Indigenous primary source for understanding the relational histories between Native Alaska and Filipinos within the architecture of American empire in the early 20th century.